Digital and Online Editor for Kickoff Magazine and Kickoff.com. Formerly of TEAMtalk Media. Mamelodi Sundowns. Gave up Majajila and Ngele who weren’t playing and received Vilakazi in return – it’s great business for both clubs but a move that makes Pitso Mosimane’s side even stronger in attack. Adding ‘Vila’ to the already feared ‘CBD’ reminds one of when Henry joined Barcelona – wasn’t needed, but sure made them even more lethal up front. Sundowns have retained the core of the team that broke records last season and added another dynamic goalscorer, and I just can’t see a challenger to their crown unless Gavin Hunt can finally find a way to make Wits consistent. Baroka FC and Free State Stars. Bakgaga are a great cup team and have shown good consistency in rising up the ranks, but the Premiership is a different story, and overconfidence could prove their undoing in the top-flight. Ea Lla Koto, after being an electronic bank transfer away from non-existence, will feel the effects of that failed sale to Swallows FC after selling most of their best players. Khama Billiat: He is the defending champion is, in truth, is the best attacking player in the PSL. He seems to be handling getting kicked even better too, which means not much can stop him from enjoying another great season. Keagan Dolly: In the form of his life and is getting better with every game he plays. He took less of the limelight than ‘CBD’ last season but was in no way less influential, and this season if we see more goals and assists he can win player of the season. Jeremy Brockie: Was the PSL’s top scorer in all competitions with 18 goals last season, and this time he has Stuart Baxter behind him for a full season as well as the services of Yeye Letsholonyane. There are many more goals in his future. Collins Mbesuma:Will keep Highlands Park in the Absa Premiership if he stays fit. Still the best finisher in the PSL given half-a-chance. Tshepo Gumede: Has signed for Cape Town City in exchange for Jackson Mabokgwane, and City already have a keeper better than him in Shu-Aib Walters. We knew Gumede was a solid defender before his ill-fated spell at Pirates and his quality will come through again. Xola Mlambo: He was excellent when he played for Chippa last season and having signed for Wits, if he gets game-time there, it will be even clearer to more people how good this player is. Tore Chiefs to shreds towards the end of last season in one particular game and stood out in several other matches. Riyaad Norodien: If he can hit the ground running he will become loved by the Bucs faithful and rise to stardom, but there won’t be any time to blow cold like he did for Ajax last term. 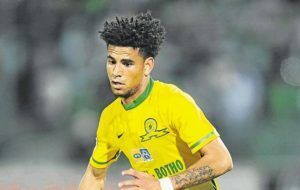 Jody February: With Jaakkola finally out of the way, February will be hungry to show the PSL why he is in the SA U-23 squad. Judas Moseamedi: Started growing in maturity at Aces last season and showed his qualities when he played for the national team. One to watch as a future Bafana Bafana striker. Cape Town City, because they are basically the best of the Aces team that finished fourth last season with an added goalscorer in Majoro, a few experienced defenders and some hungry youngsters and foreign signings that can’t hurt too much. Eric Tinkler has more to prove as a coach as well, and the conditions John Comitis has provided for success are favourable down in the Cape. Denis Lavagne at Free State Stars or Luc Eymael at Polokwane City. Journalist for Soccer Laduma website and weekly newspaper and regular on Supersport’s PSL Back Pages show. For me this is much tougher to call than last year. IF Mamelodi Sundowns can avoid a continental hangover then I think they’ll take it. Pirates, Wits, SuperSport and possibly Chiefs could all be in with a chance, but I just think it’s going to be very open season this year. Highlands Park – I don’t think they’ve brought in enough during the offseason, and I’m not a big fan of Allan Freese. Polokwane City – I’d have said Baroka, but I think that they’ll score enough to stay safe. Not been impressed with Polokwane’s signings. Khama Billiat: If he stays, Billiat is definitely in with a huge chance. Best player by far in 2015/16. Jeremy Brockie: I said Brockie last year, and it wasn’t to be, but a full season under Baxter could be huge for him. Buhle Mkhwanazi: Should Wits challenge for the title this season, Mkhwanazi will play a massive role. Xola Mlambo: A top player for Chippa last season, could be a big signing with better players around him. Rama Mphahlele: Top pro, solid player. Absolute bargain for free for Kaizer Chiefs. Abbubaker Mobara: Not sure how much was paid re. ‘value for money’ but think Mobara is a great signing for Pirates. Phakamani Mahlambi: Will probably not play again in 2016, but has the potential to be huge for Wits in the second half of the season. 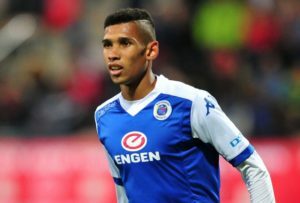 Riyaad Norodien: Another player that I thought would do well last year who didn’t quite make it. At Pirates I have high hopes for him. Sibo Mbatha: Not sure if he’ll be given a chance at Wits. But this kid is very, very talented. Baroka FC – I think many will have these guys tipped for relegation, but I think they’ll finish closer to mid-table. Luc Eymael – Polokwane City. Honestly, Wits have to be favourites now. They were just 4 points behind Sundowns last season with 6 games to go, then fell away. Vilakazi may be a loss, but he has had two disappointing seasons in a row so getting Ngele and Malajila in exchange, plus adding Mhango and Rodgers, means they have a potent attack. Their major weak areas were central midfield and a lack of goalkeeper depth and both have been addressed with the signings of the excellent passing midfielder Xola Mlambo and goalkeeper Darren Keet. Yet, having said all that, Sundowns have the best coaches, have the best staff (and crucially, conditioning coach with all these CAF games). With Vilakazi added to the CBD in attack, and Morena giving another width option (perhaps even as a very attacking right back), they are going to pummel most sides just like last season. Their style of play is the best too, so I hope they do retain the title. Free State Stars. Not even so much because they lost Chabalala and Japhta to Pirates and Mohomi to Sundowns (as none of those three had even been heard of a year ago), but because they just lack goalscorers and again have a new coach who doesn’t know the PSL. He may have a lot of experience coaching in French speaking African countries, but Lavagne won’t know his opponents that well and actually has a pretty weak squad to call upon. Sekola and Venter are going to have to play out of their skins this season to keep them in the division. Cuthbert Malajila: Two seasons ago, he got 10 PSL goals and 10 PSL assists for Sundowns. He barely had a kick last season after the signing of Castro, but at Wits, he will have a very varied and strong support case from pure wingers like Pelembe and Klate, a target man in Rodgers, the pace of Mhango and Mahlambi (when fit) as well as Ngele and Keene. He could absolutely revel in both scoring and making goals this season. Willard Katsande: The best DM in the PSL and more crucial than ever to Chiefs after the departure of Letsholonyane. Has started taking penalties and scoring goals from open play so without doubt, he’s now the one irreplaceable player at Chiefs. Reneilwe Letsholonyane: Supersport now have the best central midfield options in the league, and Yeye could have more attacking license if paired in a 3 man midfield with Furman and Alexander. He has shown he can make good forward runs and score goals for Chiefs when given more attacking responsibility and he is still the best passing midfielder in South Africa, especially at making penetrative forward passes into the feet of the forwards. 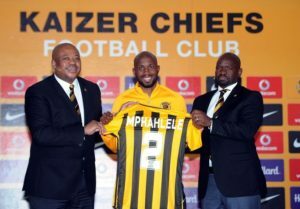 Rama Mphahlele: What a signing on a free, even on his huge wages. He’s a great pro, a very good age, and can play right back or centre back to a very high level. He will make Chiefs much more solid and perhaps allow them to play a more attacking game due to being more secure at the back. Erick Chipeta: He was brilliant for Chippa United last season, not only doing a great job at either right back or centre back, but also scoring freekicks. He will add height to a previously small Ajax backline and if considering Abbubaker Mobara’s disasterous season last year, he will be a welcome upgrade. Andrea Fileccia: Looked extremely sharp under Ernst Middendorp at Free State Stars last season, especially with his excellently times runs in-behind defences. Alongside Evans Rusike, Deolin Mekoa and Kurt Lentjies, he could really thrive for Maritzurg United. Menzi Masuku: He scored 5 goals in his first 400 minutes of football for Orlando Pirates, then rarely got a consistent chance after that, and often had to play out wide instead of playing as a second striker. He seemed very reluctant to join Chippa United, but I think he will fit in really well as Chippa are a very attacking side who have a lot of the ball. I really think he will have Orlando Pirates trying to re-sign him a year from now, and will make his Bafana debut in the next 12 months. Sammy Seabi: He is a 21 year old defensive midfielder nicknamed Vieira and quite possibly the man to replace Cole Alexander at Polokwane City this season. Former coach Julio Leal lauded his abilities and started him in the last couple of PSL games last season. If he can impress new coach Luc Eymael and get regular outings, I would not be surprised to see him take the PSL by storm. Brandon Peterson: After Anssi Jaakkola left Ajax Cape Town for Reading, it opened up the number one jersey. Peterson will have to compete with Jody February for a place, but indications are that he may be the number one at the start of the season. 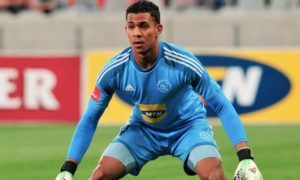 A highly talented, very agile goalkeeper, he could be set to deliver on the promising displays he showed a couple of seasons ago under Muhsin Ertugral. Last year I predicted Tuks! This season I think Golden Arrows and Cape Town City. The former because they have an excellent defence (Mbaeva, Mzava, Bilankulu and Nonyane, amongst others) plus Clinton Larsen is a good coach. CT City because they have a very ambitious owner and a brilliant technical staff with Ian Taylor assisting Eric Tinkler. Denis Lavagne. He had a very disrupted preseason, not even knowing if he had a job with a takeover looming, and he has a pretty weak squad at his disposal. Stars will want to maitain their PSL status for any possible sales in future, so may be trigger happy if the season starts poorly. Writer of the Neal and Pray column for The New Age, Runner-up in the 2015 SA Blog Awards and formerly worked for the Sunday Mirror, Daily Mail and Evening Standard. Mamelodi Sundowns. 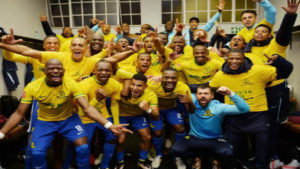 With the side through to the African Champions League semi-finals how can you possibly bet against Pitso Mosimane’s KaboYellow retaining the PSL title they won by a record margin last season? Okay, they returned to CAF competition through the back door after defeats against AS Vita and Medeama but boy, did they grab that third chance. Wins in Algeria and Egypt are not to be sneezed at when our national team is couldn’t qualify for AFCON 2017. Ajax Cape Town and Cape Town City. Both Cape Town clubs face a season of struggle. The battle of Greek brothers sees Ajax getting rid of serious talent and signing very little. City retained 14 players from the now defunct Mpumalanga Black Aces and have made some fascinating foreign signings, like Moroka Swallows did two years ago. The battle between Tinkler and his old pal Roger de SA will be fascinating but essentially meaningless if they fill the bottom two positions in the PSL. Khama Billiat if he stays. The same applies to Keagan Dolly. Cuthbert Malajila. Bidvest Wits and Gavin Hunt have made some worthwhile acquisitions, not least getting striker Cuthbert Malajila as a makeweight in the Sibusiso Vilakazi deal with Masandawana. Also perhaps goalkeeper Darren Keet after his Belgian career petered out. Denwin Farmer, the central defender at Supersport United, who is in the latest Bafana Bafana squad. Muhsin Ertugral. Irvin Khoza swapped Eric Tinkler for Muhsin Etrugral in an effort to revive his Sea Robbers and raided Free State Stars the morning after hearing they might be sold. Justice Chabalala looks a good signing and Ghana’s Bernard Morrison, snapped up from AS Vita, may see them finish above their Soweto rivals in fourth this season. Send us your season predictions in the comments section below!